Growing up in an Italian family, torrone was as much a part of our nomenclature as traditional snacks like pretzels or potato chips. My mom once told me that growing up, my grandfather (who had come over from Italy when he was 18) always made sure there were two things in the pantry – boxes of torrone and a big bottle of Brioschi. A true Italian, indeed! I was always smitten with the beautiful little boxes that the individual candies came in – they were colorful and had some some of the most unique designs. Inside are little rectangular candies, made of a sweet nougat and studded with nuts. 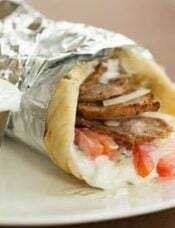 The most traditional version is made with almonds, but I have also seen versions with pistachios, and also simply flavored with lemon, vanilla bean or orange. While I’ve enjoyed torrone occasionally since I was a child, I’ve really grown to like and appreciate it over the last few years. Admittedly, it was never something that I had ever thought to make myself until I was flipping through the new DIY Cookbook from America’s Test Kitchen and opened a page to homemade almond torrone. I was blown away not only to find it there in the book, but to discover just how easy it is to make! There are a couple of specialty-type items that you need for the recipe, like edible wafer paper and blanched almonds, which my local grocery stores don’t carry, so I ordered online (see notes below recipe for links). I should note that regular almonds would work, but I wanted to make this as authentic as possible. Once you have the wafer paper and blanched almonds, the rest is smooth sailing. I was so excited to take my first bite of the torrone, and even more thrilled when I realized that it tasted just like authentic torrone! This is definitely something that I’ll be making from scratch from now on; there’s no reason not to, and it adds an extra-special touch for holidays. I’m excited for my Chief Culinary Consultant’s dad to get into town on Friday for Christmas – he loves torrone, so there’s a big container with his name on it! 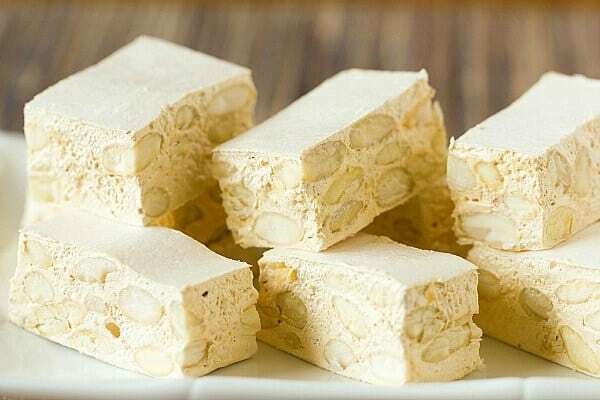 A recipe for homemade torrone - an Italian candy made of nougat and almonds. 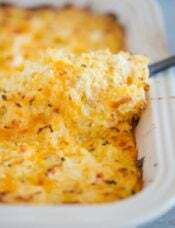 Preheat oven to 350 degrees F. Spray an 8-inch square baking pan with non-stick cooking spray. Line the bottom and sides of the pan with edible wafer paper, cutting pieces as needed to get them to fit; set aside. Place the egg whites and cream of tartar in the bowl of a stand mixer fitted with the whisk attachment; set aside. Place the honey in a medium saucepan. Pour the sugar and salt into the center of the pan. Cook the mixture over medium heat, without stirring, until the honey starts to boil around the edges of the pan, about 5 minutes. 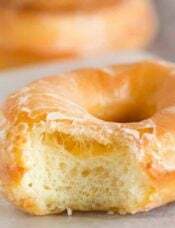 Reduce the heat to medium-low and cook, gently swirling the pan, until the sugar has dissolved and the mixture is dark amber in color and reaches 320 degrees F on a thermometer, anywhere from about 8 to 12 minutes. Remove the pan from the heat and let the bubbles subside, about 30 seconds. Meanwhile, when the honey mixture is at about 270 degrees F, turn the mixer to medium-low and begin whipping the egg whites and cream of tartar until foamy, about 1 minute. Increase the speed to medium-high and whip until soft peaks form, about 2 to 3 more minutes. Reduce the speed to low and carefully add the hot honey mixture, trying to avoid the sides of the bowl and the whisk as much as possible, and mix until incorporated. 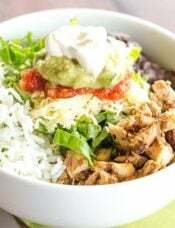 Increase the speed to medium and whip, scraping down the sides of the bowl twice, until the mixture is pale and very thick and stiff, about 10 to 12 minutes. 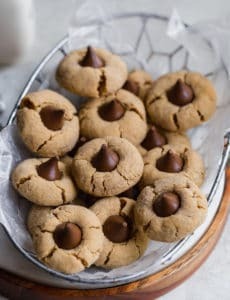 While the candy mixture is whipping, spread the almonds on a rimmed baking sheet and heat until warm and just barely fragrant, about 5 minutes. Remove the pan from the oven and keep the almonds on the baking sheet to keep warm. Reduce the mixer speed to low and add the warm almonds and vanilla to the candy mixture. Working quickly, scrape the candy evenly into the prepared pan using a rubber spatula that has been sprayed with non-stick cooking spray. Cover the top surface of the candy with a single piece of edible wafer paper, trimmed to fit the pan. Place parchment paper on top and press very firmly with another 8-inch square baking pan to compact the candy and remove air bubbles. Let the pan cool to room temperature, about 1 hour. Refrigerate until very firm, about 2 hours. Discard the parchment. 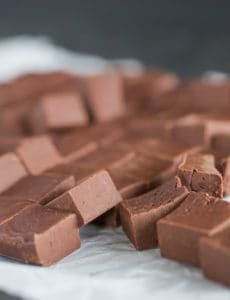 Use a paring knife to trim any excess pieces of edible wafer paper from the edges, then turn the candy out onto a cutting board. Cut the torrone into pieces about 1x2-inches. The torrone can be stored at room temperature or refrigerated in an airtight container for up to 2 weeks, using parchment to line the container and separate layers. 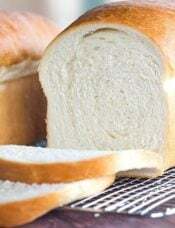 I too am Italian and really enjoyed my grandmother buying these around the holiday. sprinkle the tops and bottoms with powdered sugar? All the wafer paper I have seen is just to think. Hi Patty, I can’t speak to not using the wafer paper, as I found it to be pretty authentic. It *might* work with just using powdered sugar, I just can’t guarantee! Enjoy! 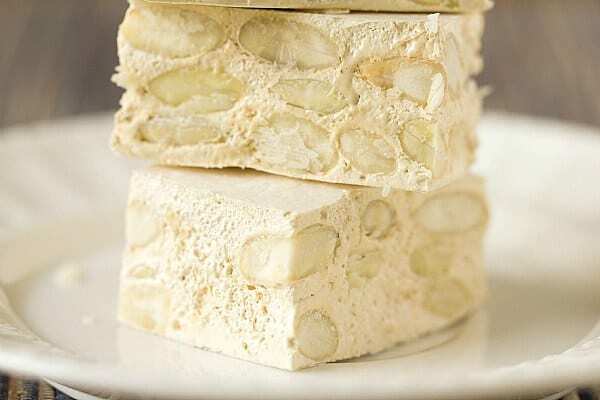 This is not actually torrone, rather, it’s a pseudo-torrone marshmallow. Turning sugar dark amber brown (well past the point of hard crack) into an egg white mixture which you then marshmallowize should not be called torrone. The time you supposedly save making it this way instead of longer authentic way you waste in clean-up. Furthermore, whipping all that air into it does not eliminate the taste of burned sugar. Wish I had listened to my gut on this one. I tried a really delicious store-bought torrone the other day with roasted hazelnuts in it. It was very hard and crunchy/brittle and I’m looking for a recipe to produce this texture. 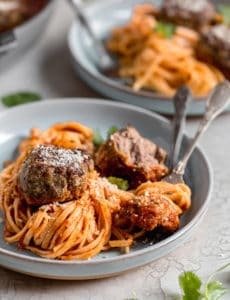 What texture does this recipe produce please? Thanks! Hi Rachel, This torrone is soft, definitely not crunchy or brittle-like. I am so excited to try this! 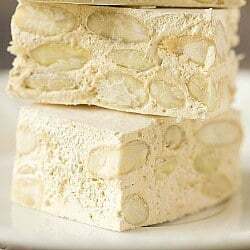 I loved Torrone as a kid, but developed a tree nut allergy as an adult and miss it SO much! I think I may try to make some lemon or orange ones with candied peel in them instead of nuts. THANK YOU For posting this on the internet. I absolutely LOVE Torrone and on a recent trip to Sicily I bought six bars (@ $3 a piece) and I’m sorry I didn’t buy more!! I have been wanting to make this for a long time. Thank you for sharing and I will definitely be making this for Christmas!! Hi Michelle, at what temperature did you bring the honey mixture before pouring it in the whipped egg whites? One more thing, how long will it keep in an airtight container at room temperature? I’m thinking of sending this as Christmas gifts out of state. Thanks a lot! Hi Ela, I described the temperatures in steps #4 and #5 – I didn’t gauge it again immediately before I poured it, so I don’t know what it was exactly. Storage guidelines are in step #9 (2 weeks). Just made this recipe yesterday. It is very goo, however mine is a bit too soft. Any tips/advice? Thanks! Hi Laura, Make sure the thermometer that you’re using is accurate, as you may not have cooked part of the mixture long enough; you may have also not whipped the mixture long enough. In Puerto Rico we call it Turrón and we usually prefer the hard nougat over the soft version. It’s a traditional holiday treat for us and readily available all xmas season. I was wondering if anybody tried shopping cake decorating stores for the wafer paper. There is a couple of these specialty stores in my town and they both usually carry wafer/rice paper. wow Thank you ! 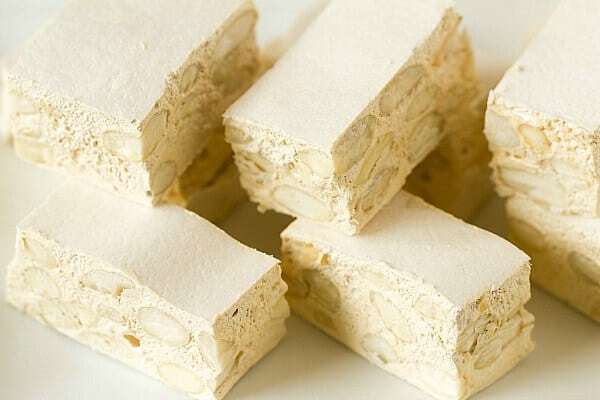 great soft torrone recipe, cant believe I can do this in the mixer! My old school Italian family stands over the stove MIXING and Mixing, but this was easy! It came out great, my husband right from Italy loves it. I find it a little too sweet I wonder how I could cut the sweetness? I have a soft chocolate torrone recipe from marshmellows, chocolate, and nuts which is also so easy if you want to try :-) Now I can give both chocolate and vanilla together as gifts. Yes, it does have a “light and fluffy” texture. Enjoy! I go crazy for hard torrone (the soft is just gross) and can’t wait to try this recipe! Thanks so much. SO HAPPY about this! It’s part of my childhood and so expensive to buy! I’d love to try it with pistachios, since that’s one of my favorite traditional ones… also orange and with candied fruits like orange or lemon (Sicilian). Hi Christine, I’m not sure if you’d need to blanch the pistachios, if you try your version, let me know how it turns out! In Ontario, Canada the wafer papers are sold at the Bulk Barn chain. .47 cents per sheet. 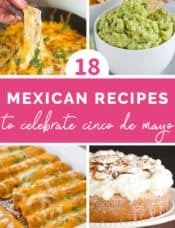 I love your recipes, and have saved quite a number of them to use, especially the Italian ones! My Mum hails from Slovenia, near the Italian border, and authentic recipes from my childhood are hard to find (she cooked a number of goodies from Italy too), so if my stand mixer is up to the task (Mum disliked making nougat too often as she said it was such hard work for her machine), I would love to make this. I even remember the smell of blanching almonds off our own tree as I read your recipe! Your blog is delightful! Every Christmas when I go to my BFF’s parents house I end up stealing the little boxes of Torrone because I love them so much. This year I have vowed to expand my candy making skills, and I’ll be making Torrone for my book club this weekend. I have dying to try this candy. Where did you find the wafer paper? Hi Joy, If you check above at the bottom of the recipe, I provide a link to where I bought the wafer paper on Amazon. I love torrone. It is so hard to find in the stores. I can’t wait to make my own. Wow! Torrone is one of my favorite candies at Christmas time! It is sooo good and so hard to find b/c I’ve seen it in one store. Once it’s gone that’s it b/c they only get a small quantity. Can you tell me if it’s 1 tsp or less of extract that can be added? I always ate the orange and lemon ones before the vanilla ones! Lol. Hi Jan, It’s 1 teaspoon of vanilla, but if you want to do orange or lemon I would probably use a little less, as those extracts tend to be more concentrated than vanilla. Omg! I love this! I eat a lot of those when I was child! Thanks for the recipe! Great news! the price on the ream of edible wafer paper just dropped by 4 dollars to 15.99 on Amazon! Great time to try this! Much better deal than 6 or 7 dollars for one sheet from my local bakery! My father said that was the best Torrone, he had! He only had 1 piece, mom had the rest! The paper can be found on eBay in smaller quanties than 100 sheets. As for the torrone being sticky when cooled, if you use a candy thermometer and cook the honey, sugar mixture to hard ball stage, when it sets up it will be hard candy. Experiment between the soft and hard to find what you prefer. The harder it is, the longer it will last. Remember, if you do cook to hard ball, cut it before it sets up or you will have one large piece to make broken torrone hard candy.